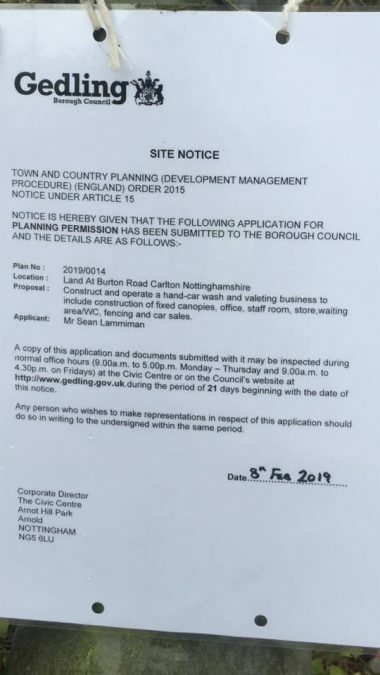 Plans have been submitted seeking permission to place a hand car wash and valeting premises on unused land next to a pub in Carlton. 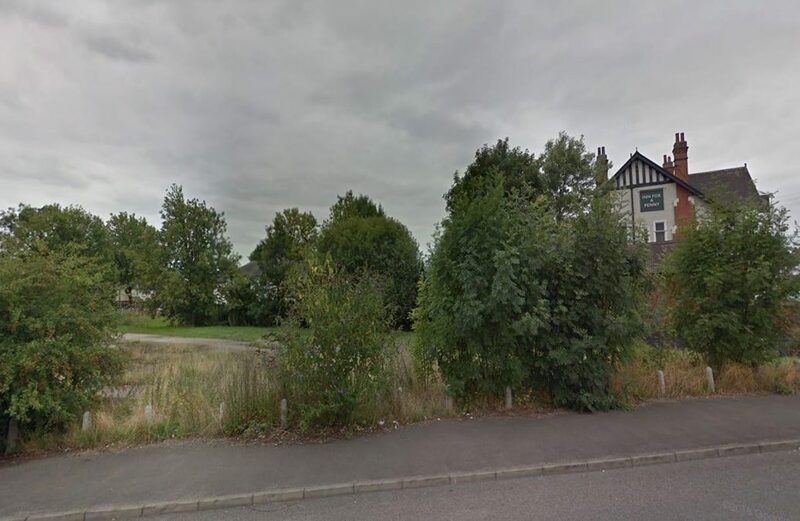 Proposals for the vacant space on Burton Road next to the Inn For A Penny Pub have now been submitted to Gedling Borough Council. Plans say fixed canopies, an office, staff room, store, waiting area and toilets would be constructed on the site. People have until March 1 to voice their concerns. Will they be dumping all the dirty water into the dyke? It will make it so hectic traffic wise on that corner!! There’s no need for a car wash there!! Good idea. That corner is an unsightly mess and it should tidy it up. Good idea. That corner is an unsightly mess and it should tidy it up a bit. We really don’t need cars coming out from there as well it’s dangerous enough already with people speeding. I object on basis of road safety. It’s a hazardous bend. Turning right into Brooklands Drive already unsafe due to speed of cars, blind bend andonconing cars in the middle of the road due to kerbside parking outside Scrumpy’s. School pupils often cross there. Additional cars going in and out forecourt court would be highly dangerous. Excess water with chemicals which could run into the adjacent dyke. Polluting it. Additional car fume pollution in the area. Concern loss of the grassed triangle of trees and bulbs. Already plenty of these businesses locally which are an eyesore. Using limited resource of water when we are told need to conserve. A totally inappropriate place for a car wash and car sales. That sharp corner on Burton Road is already dangerous enough without more cars turning in and out ot the proposed site, never mind the chaos it could cause on Conway Road. Detergents and chemical will make their way into the Ousedyke, endangering the vegetation and wildlife. Do we need any more car sales. They say they arectransferring the business from Burton Joyce but car sales there stopped some time ago. Definitely No. It’s a dangerous corner and completely ridiculous to put next to the Ousedyke where it’s going to be practically impossible to prevent pollution from chemicals and the resulting environmental damage. Anyone whose prepared to let a bunch of non tax declaring foreign migrants wash their car with a brillo pad then more fool you. Money going into local economy..£0. Tax paid by cash in hand cleaners.£0. NI paid by cleaners.£0 Tax/NI paid by cash only business..who knows? Nice new car washed with a sponge dropped in the grit…be my guest. Get some decent cleaning gear, sheepskin mitt and good quality shampoo and encourage a neighbours son to do it, any 14 year old will do it for a tenner and not leave your prize possession looking like a skating rink. Its a bad idea, its in the wrong place and it will be an eyesore.